Are you thinking about buying an air purifier but not sure what they’re actually good for? Do you want to know what the top air purifier uses and benefits are around the home? Below, you’ll find the top reasons for why use an air purifier inside the home. By the end, you’ll have a better understanding of what makes an air purifier a good investment for not only your health and well-being but the overall cleanliness of your house. One of the most noticeable air purifier benefits is that they can remove the odors inside your home. This includes smells from cooking, tobacco, pets, mold, garbage, and other common sources. Keep in mind that the air purifier will need to include an Activated Carbon Filter. This is the only type that can remove odors and make your home smell fresh and clean. No matter how hard or often you clean your house, the truth is that indoor allergens are likely still hanging around. That’s because allergens come from all sorts of things that regular cleaning can’t stop. This includes dust particles, pet dander, mold spores, pollen, and other germs that build up on a daily basis. And unless these allergens are filtered out of your home then they’ll always remain. An air purifier is one of the best ways to remove indoor allergens. By using a series of filters, the air purifier traps these microscopic particles and keeps them out of the air you breathe. This leads to fewer allergy flare-ups and a boost in your overall health. The key here is to make sure the air purifier you choose includes a True HEPA filter. This kind is the best at removing the largest amount of allergy triggers. See the best air purifiers for allergies. If you have asthma, then you know firsthand how dirty air can impact your well-being. If the air has any amount of particles that can irritate your lungs, you’ll experience tightness in your chest, trouble breathing, and at worst an asthma attack. Using an air purifier in the home can help reduce the level of asthma triggers indoors so that you don’t experience respiratory pains. And with fewer particle triggers in the air, the less likely you are to have an asthma attack. See the best air purifiers for asthma. No matter how well you clean your home, dust will always accumulate. There are just too many things out there that cause it to form. So, if you want to clean less and have a less dusty house, then an air purifier can help. Air purifiers trap airborne dust particles which in turn reduces the amount of dust that settles on your furniture and around your home. See the best air purifiers for dust. Each year it seems like the spread of colds and flu virus is getting worse and worse. Fortunately, an air purifier can be used to protect you from getting infected by these types of germs. Certain air purifiers are equipped with a special Ultra Violet (UV) light which is designed to kill germs and bacteria that may be floating around your home. This UV light is completely safe for you to be around, yet it destroys the DNA makeup of these particles and renders them harmless to humans. 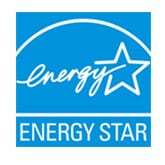 Having an air purifier that can eliminate bacteria and viruses is a great investment for any household or family. See the best ionic air purifiers with UV lights. Unfortunately, mold is everywhere and even if you don’t have a specific mold issue inside your house you may still have mold spores floating around. Some people have a severe sensitivity to mold and notice its presence immediately while others don’t feel the effects until after long-term exposure. One of the top air purifier uses for any home is to help keep you safe from breathing in mold spores. These machines can remove these toxins before they have a chance to enter your lungs. A HEPA filter is an excellent material for trapping mold particles, so look for that type when choosing an air purifier for mold. 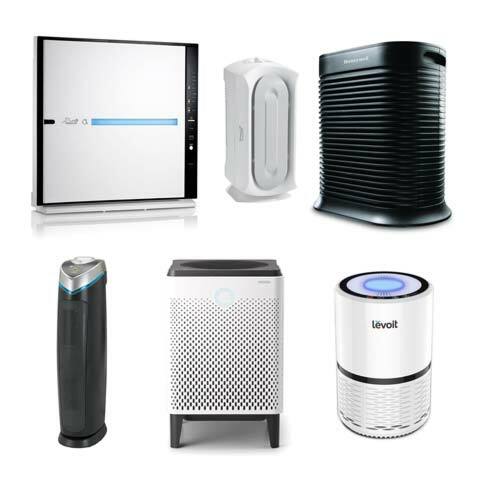 See the best air purifiers for mold. While the main concern for people when buying an air purifier is to keep themselves healthy, another great use for an purifier is to keep your pets healthier too. An air purifier can not only remove pet dander, hair, and odors that cause you to have allergies and discomfort, but it can also protect your animals from the negative impacts of breathing in air pollution. Since your pets have smaller respiratory organs, they can be more susceptible to the toxins in your home. Plus, animals tend to spend most of their time closer to the floor where dust, bacteria, and other harmful contaminants collect. See the best air purifiers for pets. Are you a smoker or do you live with someone who does smoke? If so, one of the biggest air purifier benefits for you is that it can drastically cut down on the visible smoke and odor that lingers inside the home. However, not all air purifiers are great at this task and only specially designed products are capable of removing secondhand smoke. To ensure you get the best product for this need, make sure it includes a True HEPA filter and an Activated Carbon Filter. This combination of filters is necessary to truly get rid of smoke and its odor. See the best air purifiers for smoke. The warmth and cost savings of a wood burning fire can be very appealing, but wood smoke pollutants can lower your home’s air quality. An air purifier is a useful machine to remove these wood burning contaminants and reduce the long-term effects of being exposed to them. Why use an air purifier in your bedroom? Because it can help you get a deeper sleep and stay asleep for longer periods of time. Air purifiers remove contaminants and allergy triggers that can get into your lungs and cause you to wake up at night. If you have trouble sleeping, an air purifier may be just thing you need to get a good night’s rest. See the top 10 best air purifiers. Avoiding air pollution and chemical exposure during pregnancy is crucial for healthy fetal development. 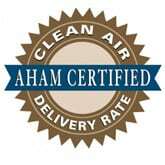 An air purifier can reduce the level of volatile organic compounds (VOCs) that are inside the home. In addition to making healthy choices about the products you bring into the home, an air purifier can ensure that the air quality around you is as clean as possible at all times. After a baby is born, the quality of air inside your home is still important. Within the first few years of life, children are susceptible to many things that can impact their health, growth, and development. Using an air purifier in the nursery can keep the air clean of airborne contaminants and promote good health for your children. Additionally, using an air purifier with an Activated Carbon Filter can help reduce the odors caused by the diaper pail. By setting up the air purifier right next to the pail, most of the smell from dirty diapers will get sucked into the filter and not fill up the room. See the best nursery air purifiers. Did you know that computers, faxes, and printers all give off low levels of chemicals that you can inhale as you work? Having an air purifier is an easy and fast way to reduce these chemical levels and make the air inside your home office healthier to breathe. See the best cheap air purifiers. You may not know this but new homes and some furniture are made with materials that contain volatile organic compounds (VOCs). And over time these VOCs are slowly released into the air you breathe. While it’s not possible to keep your windows open 24/7 as a way to air out your house and furniture, you can protect yourself from the harm of breathing in these toxins by using an air purifier. An air purifier can work to filter out these VOCs so they don’t end up in your eyes or lungs. As we age, our bodies don’t work as efficiently as they used to. This is especially true when you get to retirement age and older when you become more susceptible to germs, bacteria, and air pollution. It’s no surprise that the air purifier benefits for elderly people are so favorable. These machines can deliver a constant stream of clean and healthy air for older people to breathe which will improve their quality of life. See the best air purifiers with permanent filters. Hopefully, this list of air purifier uses has given you a better idea of why buy an air purifier for your home. As you learned above, air purifiers can provide many positive benefits for your health as well as help keep it cleaner. Will air purifier work for allergies? What is an air purifier machine?